Should I Wear Safety Gear When Riding a Motorcycle? We’ve said it before but good footwear is one of the most important aspects of motorcycle safety gear. Your feet and lower legs are always in a vulnerable position and statistics show that this is where you’re most likely to sustain serious injury. Because of this, your trainers and sports shoes need to left in the closet when riding your bike and instead you need to put on something that offers much more protection. There are hundreds of options on the market so we’ve reviewed our favourites here with different options for various types of use. Welcome to our best motorcycle boots round up and review. 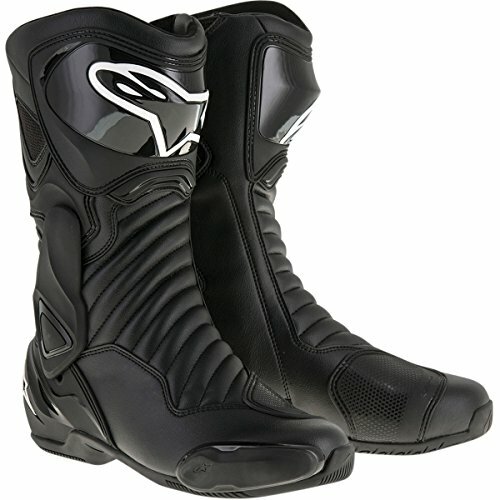 TCX are a company that focus solely on protective motorcycling boots and it shows in the quality of their products. These are a personal favourite as I often wear jeans when riding so an out and out race boot would look slightly out of place. Luckily these also make a great boot for walking around in and are more comfortable than any other pair of shoes I own. They’re available in both a waterproof and ventilated version giving you a couple of options depending on your local climate. I opted for the ventilated ‘Air’ version and they work very well in keeping your feet cool and sweat free. Best of all they still offer great protection due to a number of reinforced sections at the important areas such as the heel, ankle and toes and are CE certified as protective footwear. This means they have withstood actual testing against the sort of forces you might experience in a crash and met the required standard. 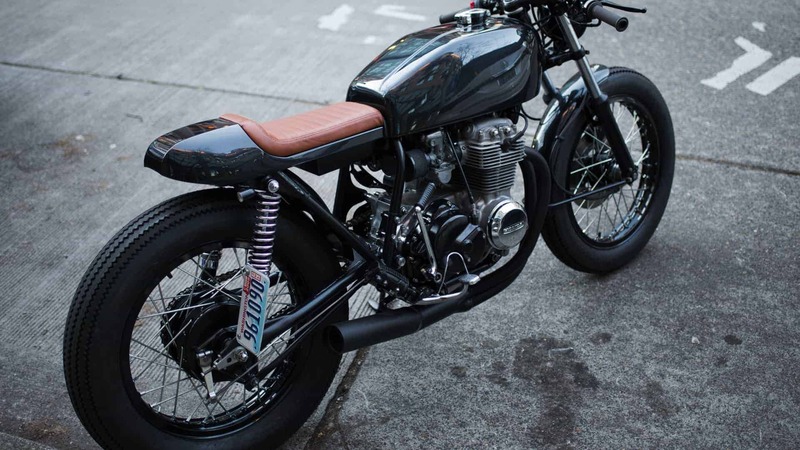 The vintage café racer look has made a serious comeback over the last few years with bike manufacturers like Triumph, Ducati and Yamaha releasing a number of retro models that have sold very well. Well, if you wear a check shirt and sport a long beard, this pair of boots might just be for you. 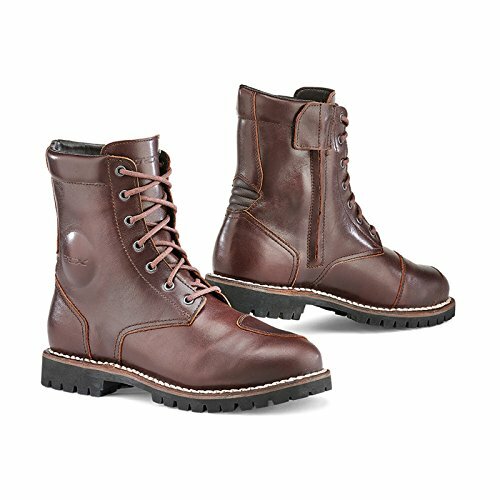 Available in a vintage brown full grain leather upper, these boots feature an external and internal waterproof construction for all weather use. There is also an additional piece of leather over the shift lever point for added durability which is soft enough that it doesn’t reduce gear change feel. The height of these boots is great with protection that will extend half way up your shins, acting as a brace should the worst happen. Both the internal footbed and external rubber sole are replaceable so these should last you for years to come. Our pick for those long trips away or all weather commute is the Roam 2. 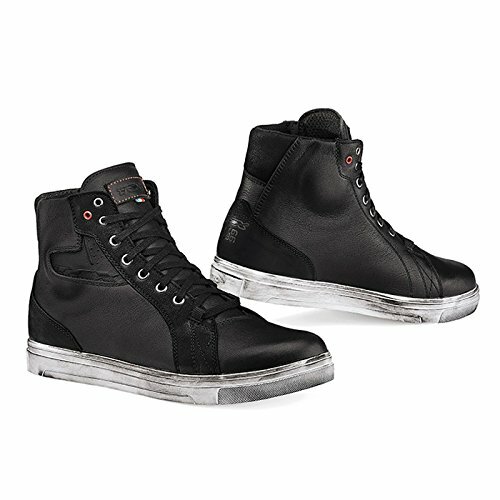 These are very sturdy and offer just about as much protection as you’re going to get for a non-race or off-road boot. A 100% waterproof membrane is present and backed up with 3 adjustable Velcro closure straps to ensure a good fit and that nothing gets in that shouldn’t. The dual density ankle cups offer great protection and the accordion stretch panels means that these should remain comfortable as long as you’re on the bike. The internal materials are micro fibre which should assist in wicking away sweat and add a small element of breathability. The anatomic EVA sole is designed to mould to the shape of your feet and can be replaced if and when worn out. CE certified with protection just about everywhere means we wouldn’t hesitate to take these on those 1000 mile cross country trips. The R1200GS has been BMW’s best selling motorcycle for years. That tells us that off-road riding adventure riding is just as popular as ever. If you enjoy getting stuck in the mud, then these adventure boots from Forma are for you. Updated for 2017, these feature the same great attention to detail as previous models. Fastening is achieved via a rugged 3 clasp system (which Forma claims is unbreakable) that braces your feet and ankles into place. To ensure flexibility, a multi-flex rubber sole is utilised that allows you enough natural movement to be able to comfortably walk around when off the bike, whilst still offering flex and crush resistance to a CE level 2 standard. Their full height design and injection moulded front shin plate means that you will be protected no matter what happens when out on the trails. 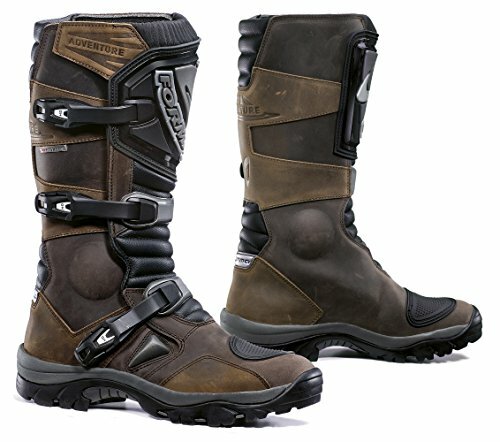 Waterproof, lightweight, breathable – if you don’t already have a pair of motorcycle boots then you should seriously consider these boots. Although designed for off-road dirt bike use in mind, there is no reason you couldn’t also use them for touring or city riding. A lot of riders in this category will be looking for something that looks as good as their bike does whilst matching their leathers and offering great protection. A tall order. New for 2017 are Alpinestars’ SMX 6 V2. Available in a number of different colours as well as featuring a vented model, these offer a great combination of reasonable price and top of the line features. Protection begins at the toes with the replaceable injection moulded toe slider, extending to the shift pad on the upper foot and the reinforced heel counter at the rear. Ankle support is provided via a bio-mechanical lateral ankle brace which protects against impact and abrasion whilst still allowing enough movement with the use of stretch accordion panels for added flexibility and comfort. The shin and calf area are protected by the use of TPU plates and are fitted with vent panels to improve overall comfort levels. These boots do run a little large so it might be worth going down a size from your usual footwear depending on the sort of socks you use. Whether track or road, the technology these racing boots offer will make sure you are always protected in the event of a crash. Along with your protective motorcycle gloves and helmet, motorcycle boots are one of the most important forms of protective equipment you can wear and really can save your feet and ankles in a crash. Make sure you’re always wearing suitable footwear. 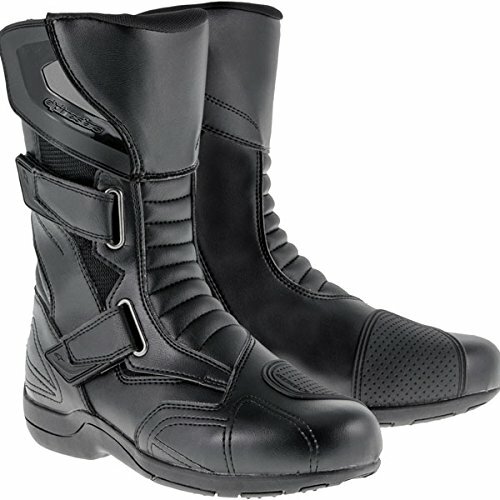 And that concludes our round up and review of the best motorcycle boots on the market today. Feel free to send us a comment with your experiences.